In 1775, the Continental Congress designated a time for prayer when forming a new nation and since that first call to prayer the tradition has continued through U.S. history, including President Lincoln’s proclamation in 1863. The National Day of Prayer was created in 1952 by a joint resolution of the United States Congress and signed into law by President Harry S. Truman. 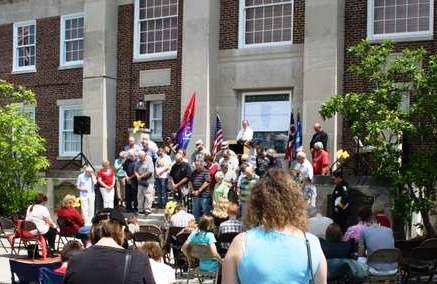 A prayer service will be held on the Clermont County Common Pleas Court House steps in Batavia at noon on Thursday, May 1.